Moravian cuisine is influenced by its location at the crossroads of Central Europe. It reflects a strong influence of nearby Vienna, Budapest and also Bratislava. In addition to more common Czech dishes, it includes some unique local specialties. The distinctive features of the local cooking were influenced primarily by the fertility of the region, with plentiful grains, potatoes, fruit and wine. The everyday diet is also rich in the flavors of fruit dumplings, round potato cakes with plum jam and poppy seeds and cakes and nutritious soups with beans and peas. On festive occasions, the table is set for dishes such as the unique lukša soup, roast goose with sauerkraut and potato dumplings, served with local red wine. 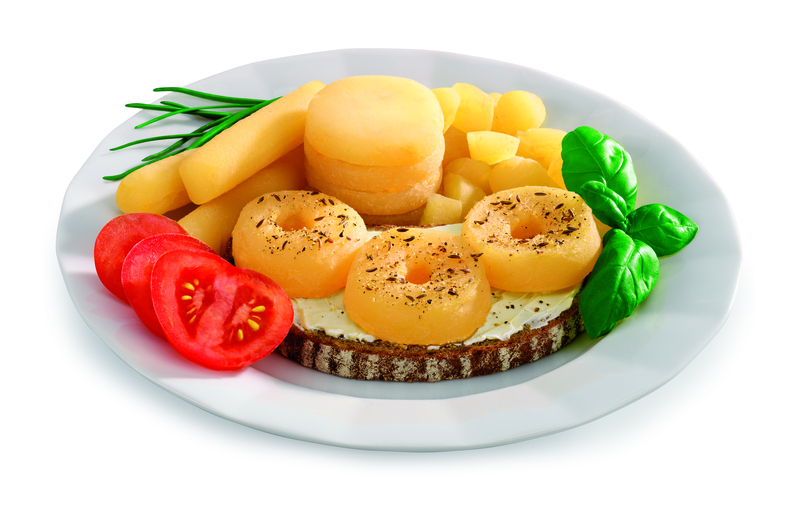 One of the best known culinary products of the area is the local cheese Olomoucké tvarůžky. This is a traditional (since 15th century) Czech ripened soft cheese with very low fat content, pungent taste and strong odor. The cheese is named after the city of Olomouc located in the Moravian region, but is produced in Loštice, a small city about 30 km away. The cheese is commonly available in stores around the country and often consumed raw, usually with some beer. For example, the cheese can be used as a filling in a local variety of Cordon Bleu, or it can be served fried. 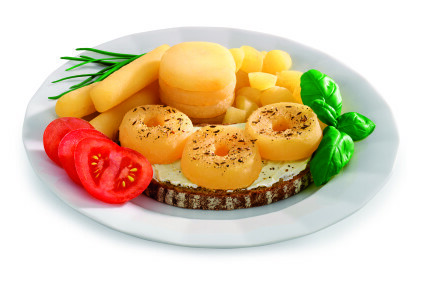 The dishes containing this cheese can usually be recognized by the word Loštické in their names. Because of the strong odor, do not be surprised when you find some mint sweets (Hašlerka) on your plate. Garlic soup (česnečka) is available all around the country. The garlic soup of the region is one of the best varieties and is usually very strong. If the cheese is added, the soup is called Loštická česnečka. Hanácký koláč is the typical sweet cake of the region.